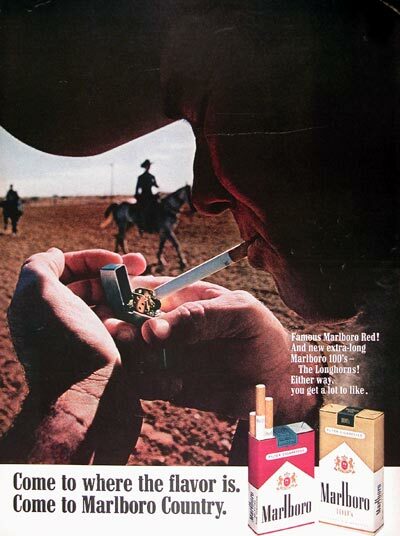 1968 Marlboro Man original vintage advertisement. Come to where the flavor is. Come to Marlboro Country. Famous Marlboro Red. And new extra-long Marlboro 100s. The Longhorns. Either way, you get a lot to like.